Occasionally, there comes a gig listing where the support at makes you raise a smile. 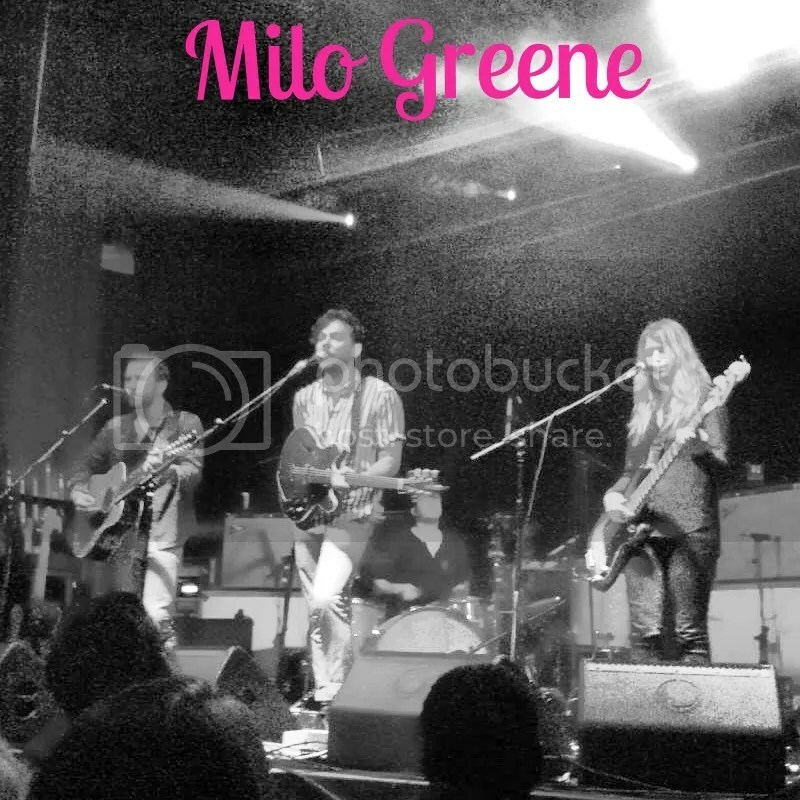 Milo Greene did just that. The sight of their name as ‘special guests’ spurred a happy jig and made me look forward to this night even more so. To me, the term ‘special guests’ is an ironic nod to a stage warming, nervous, ‘could go either way’ band. However, Californian band, Milo Greene couldn’t be further away from this. Captivating and astounding with ethereal harmonies and stirring guitar melodies. Not only musically talented, their token lady, Marlana Sheetz (who even has a cool name), earned British Brownie points she she confessed her love for Angela Lansbury of Murder She Wrote. Let’s be honest, her beach tousled blond hair had me fan girling from first sight. Radio 6 favourite ‘What’s the Matter?’, Sufjan Stevens cover ‘Chicago’ and personal favourite ‘1957’ had the crowd eating out of their hands. I don’t know if you’d agree, but it’s not the well-known songs that capture an audience, it’s the unfamiliar songs that make or break a support performance. Supping a pint of Guinness, Milo Greene entertained from as soon as we arrived (you’ve seen the hotel I was staying in, right? Can you blame me for arriving a little late?) until their final chord. Brilliant! My musical appetite had well and truly been stirred and the 30 minutes before the main act slipped by (as did a Guinness or two) and before I knew it, Californian hipsters, Cold War Kids were on stage and straight into a first song, I confess, I don’t remember nor liked. The lead singer, raising the arm and flopping the wrist to the beat of the music, irked my pedantic side. In addition, thou shall not like a band just because they become popular. ‘Hang me up to dry’ sorted the new fans from the old timers. 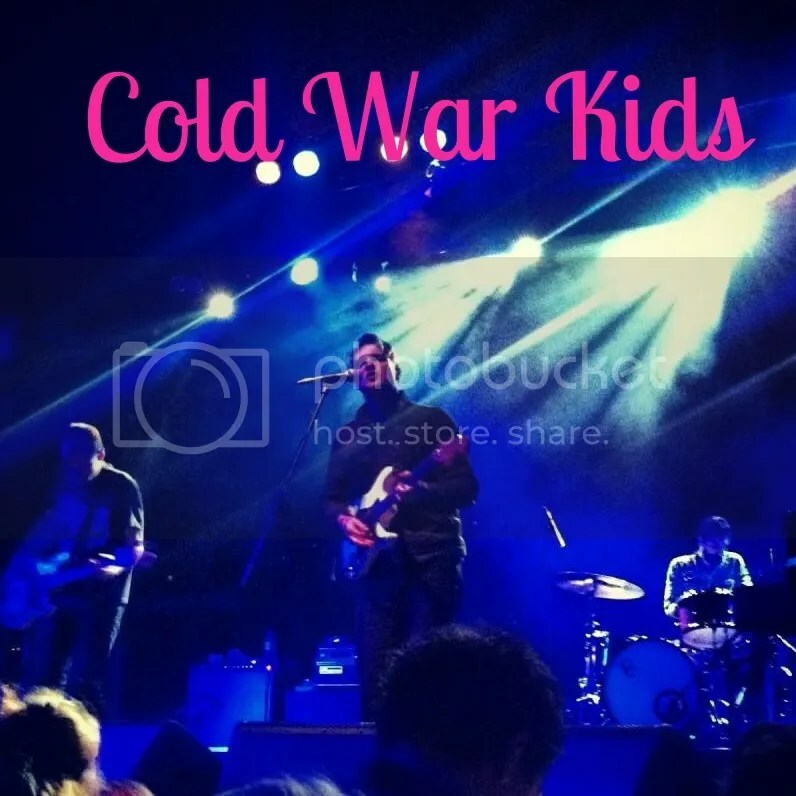 Looking around, some fans may have been as young as 8 in Cold War Kids’ early days. If there was ever a hashtag to describe this phenomenon, I’d say #myfirstgig (alternatively, #bitterness). Pushing on through the set, familiar songs and crowd pleasers rolled out, some I greeted with moderate enthusiasm. Standing just two rows back, what struck me was the static nature of the crowd. Calmness greeted the band’s rockier hits, and efforts to stir a crowd reaction was met with a mirrored ‘Bruce Springsteen’ arm or the pigeon head bob. Announcing that this was the final night of the band’s tour, the intense exhausted look in the bassist‘s eyes made me recognize that these men were husbands and fathers, facing the end of a huge tour simply going through the motions. A poor set list, Bruce Springsteen ego and exhausted members of a band equated to a mediocre, missable gig. However, I’d like to point out…I was in the minority with this opinion it seems! Enjoyed this band post? Check out what I had to say about Black Rebel Motorcycle Club and Veronica Falls.